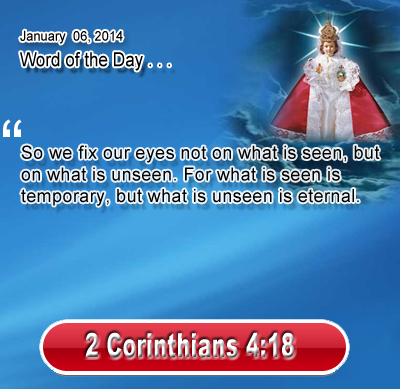 Heavenly Father, help us see more clearly the spiritual, eternal, and real world of the unseen. We only want to know you, your truth, and your character so we may more appropriately display them to others and help them come find you in the world of the unseen. Please grant us greater success at reaching others, to your glory. In the name of Infant Jesus we pray. Amen.